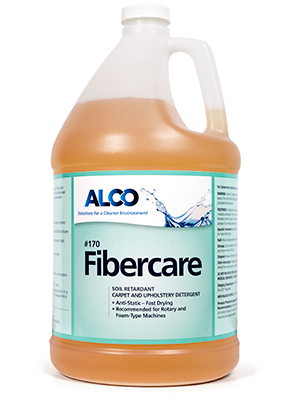 Alco Fiber Care - Alco-Chem, Inc.
Cleans deep into the pile of the carpeting. 21:1 dilution. A rotary brush or foam generating machine and Fibercare work together to deep clean with a very low percentage of water. Carpeting dries quickly reducing down time. Contains soil retardant.